TWB SA was founded in 1971 by Dipl.-Ing. Theo Tsipotis. Our production line is fully automated, each manufacturing process is electronically controlled and certified in compliance with EN ISO 9001 and EN ISO 14001. Our company is constantly investing in new technologies and the improvement of our production systems, in order to continuously increase our production capacity, improve our production lead time and achieve even more competitive product prices. Our team of engineers is dedicated in designing and constructing technologically advanced custom CNC machinery used in the manufacturing process of our products, such as coil and magnetic core winding systems, resin impregnation plants, casting molds, controlled atmosphere magnetic core annealing furnaces, as well as laboratory equipment such as Standard Instrument transformers, security and magnetic curve measuring devices complied to IEC and PTB standards. 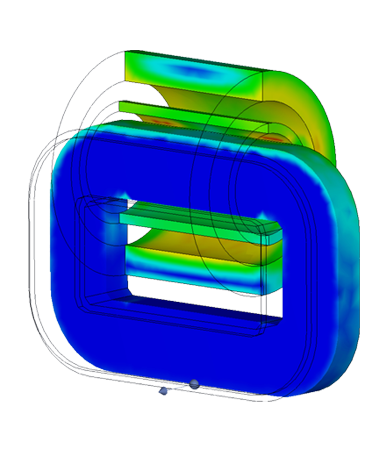 Furthermore, an advance in-house developed instrument transformer calculation program together with a finite element analysis, simulating the electromagnetic field, temperature dissipation and transient phenomena stress analysis, ensures the optimum design of our products. All transformers we manufacture are subjected to routine tests using certified measuring devices, operated by trained personnel.